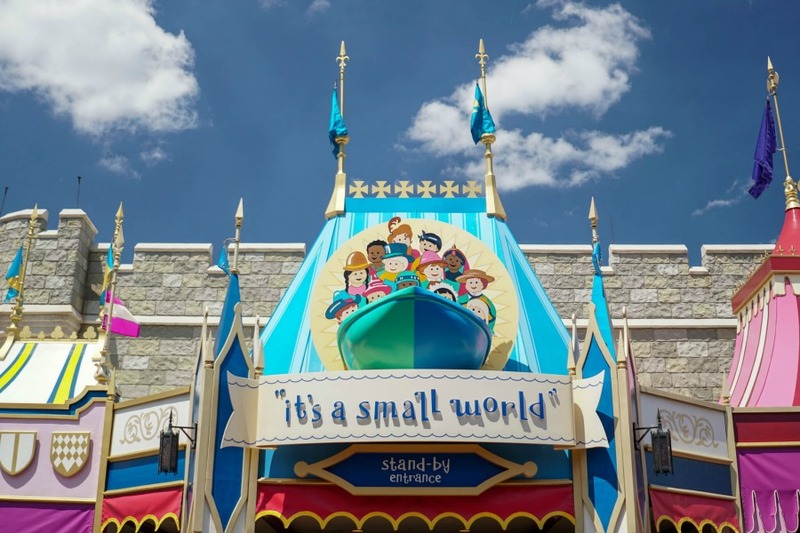 Magic Kingdom - "it's a small world"
- Enchanted Forest Main Street, U.S.A. 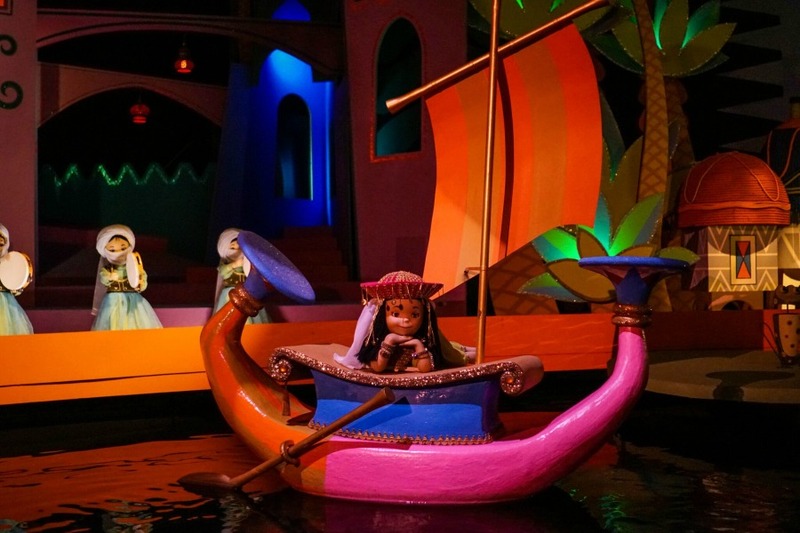 The “legend” has it that if you ride "it’s a small world" at Walt Disney World or Disneyland, the song will stay in your head forever, it's a small world after all. A lot of people claim this ride is just a cliché or is “just for kids.” People will tell you that they avoid it like the plague. These are the same people that will turn around and moan that the Carousel of Progress should be saved, or that they never should have taken out Mr. Toad’s Wild Ride. Their reasoning is that these are Walt Disney’s Legacy. Let’s talk about that. Many of the older, or original if you prefer, attractions at Disneyland and Disney World have Walt’s touch. 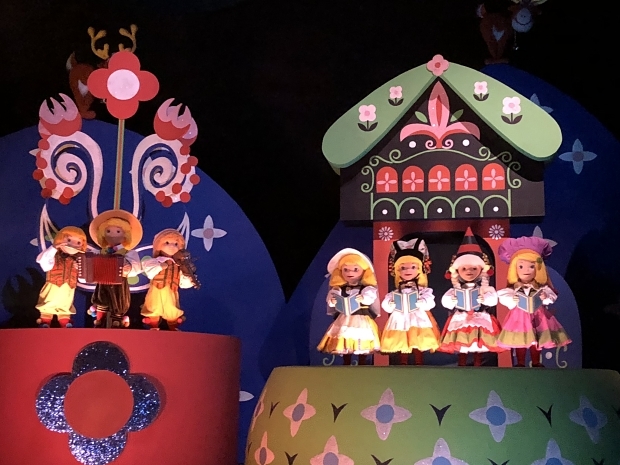 Walt and his team of Imagineers, led by artist and designer Mary Blair, created "it’s a small world" as tribute to the children of the world for the UNICEF pavilion at the 1964/65 World’s Fair. The Sherman Brothers, responsible for a big chunk of Disney music (ex. Mary Poppins) originally wrote the theme song as a ballad. Legend has it that Walt told them he needed something “peppy” that would last throughout the ride. It was decided that the song you love to hate would be sped up and sung as a round. What you see today is very close to Walt’s original attraction for the World’s Fair. Seems like a pretty good pedigree to us. 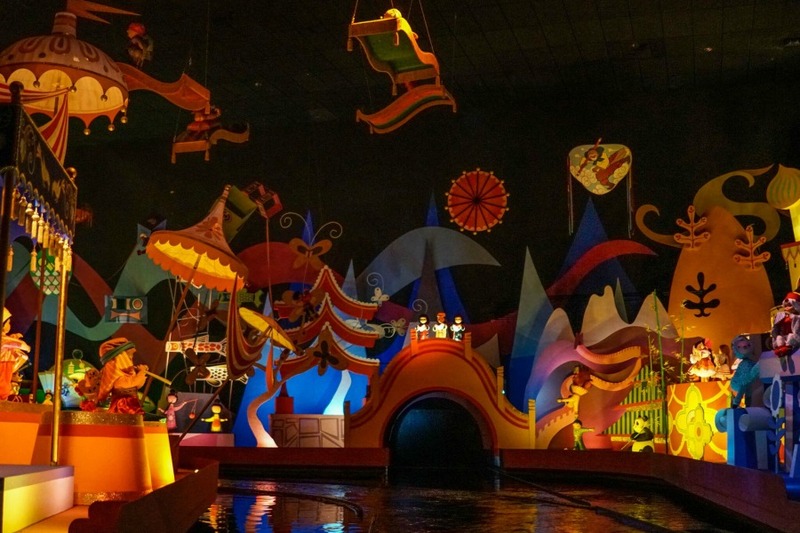 After the World’s Fair ended, "it’s a small world" was moved to Disneyland, where it remains one of the park’s premiere attractions. It has also been a staple of Disney World since 1971. There have been some minor modifications and touchups, but for the most part it has remained that brightly colored attraction that people love and love to hate. 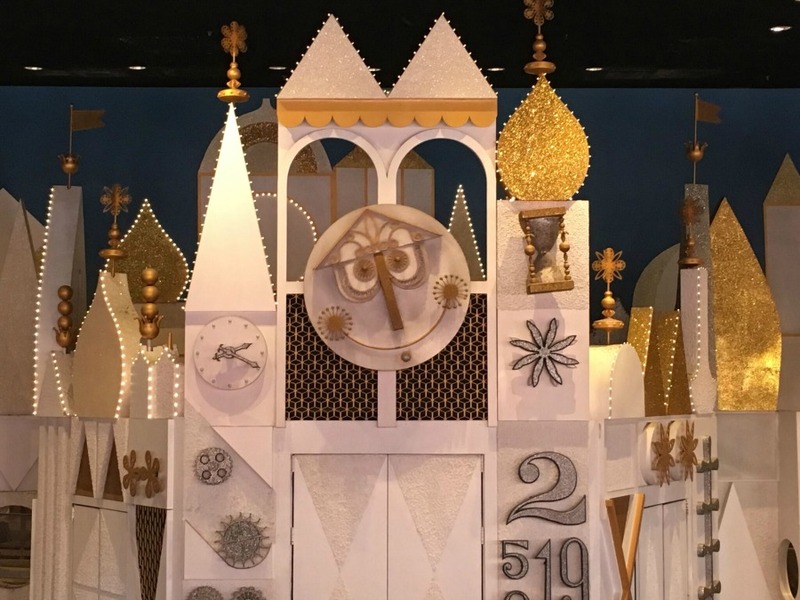 Mary Blair’s original concept for the ride was a vision in stark white and gold. 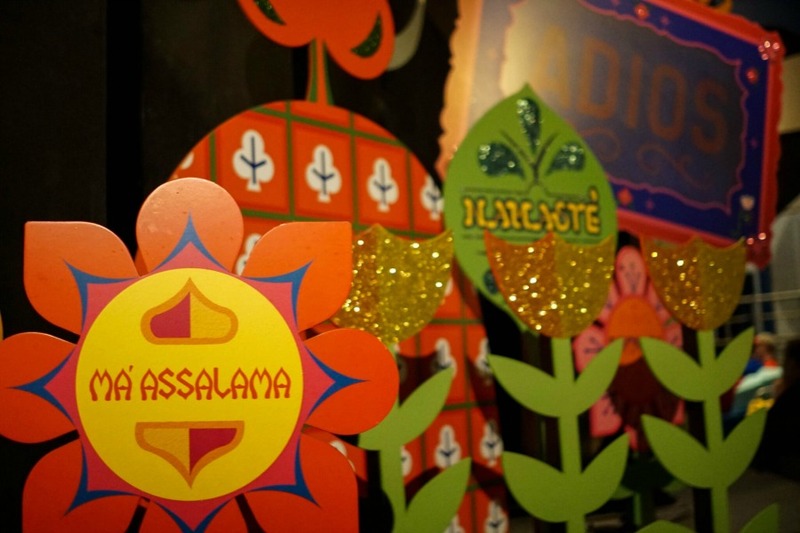 The huge smiling clock face that adorns Disneyland’s version is known to millions as the face of "it’s a small world". This is the classic look for this attraction. Watch the clock in the loading area every 15 minutes for a little surprise. Handicapped Accessibility: Guests must be able to transfer from their ECVs into a wheelchair in order to ride. 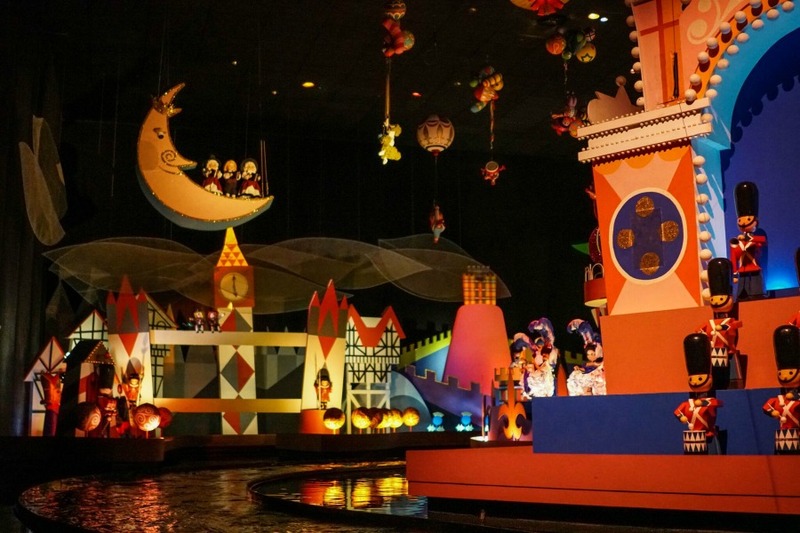 Fun Fact: The ride's artist and designer Mary Blair also created the huge multi-story murals on the Grand Canyon Concourse at Walt Disney World’s Contemporary Resort.